Ubisoft hid an interesting easter egg on "Splinter Cell" in "Far Cry New Dawn": On a special expedition you can find the iconic outfit of the infamous agent Sam Fisher. Where it is and how you get to the garment, you will find out in our guide. Sam Fisher's last adventure has been more than five years now. At that time he was still on a secret mission in "Splinter Cell: Blacklist", but since then it has become quiet around the secret agent. In "Far Cry New Dawn" Ubisoft has now allowed a fun and the worlds of "Splinter Cell" and "Far Cry" mixed together. In an airplane wreck you can find the iconic Sam Fisher outfit and some interesting notes from the agent. Where Agent Fisher has gone is not known. But he left his suit on the plane. 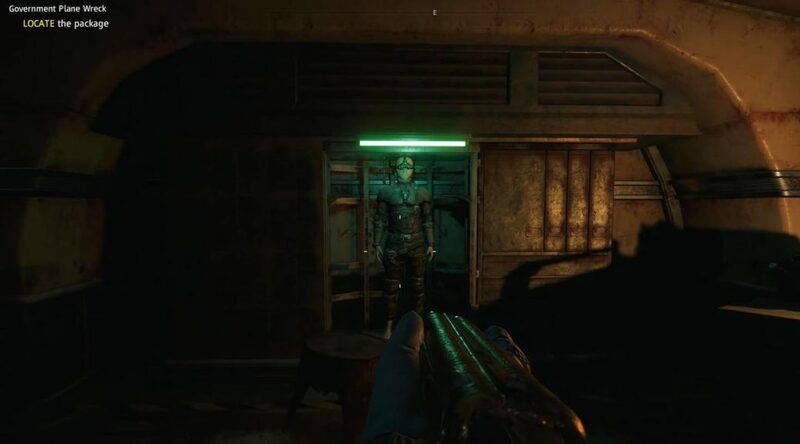 In "Far Cry New Dawn" the Sam Fisher outfit can be obtained on the expedition "Wreck of the Government Airplane". Just go over the menu to the mentioned expedition and look for a rusted airplane wreck. You can not miss it. Once arrived, you enter the plane – if possible without attracting much attention. "Splinter Cell" veterans will immediately notice that the bird is the C-147B Paladin, which serves as a mobile base in the series. At the latest, after you have found notes signed with the abbreviation "SF", there should be no doubt who this plane once belonged to – Sam Fisher. By the way, you'll find out from the notes that the secret agent was looking for his daughter Sarah after the Apocalypse. First, switch off the guard in the lower level of the wreck and interact with the laptop. Then go up the stairs on the left side and, if necessary, switch off the other guard on the upper floor of the aircraft. On the wall is a metal door, behind which hides the legendary Sam Fisher outfit. In the item description of the outfit Ubisoft takes a little on his own then: There are instead of useful information only stupid sayings of opponents from "Splinter Cell" to read. Start the expedition "Wreck of the Government Airplane"